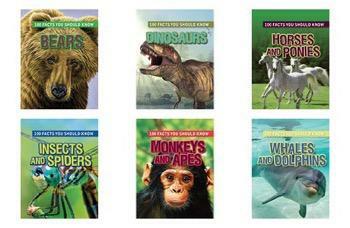 Numbered fact books are an entertaining way to engage readers in topics important to the science and social studies curriculum. 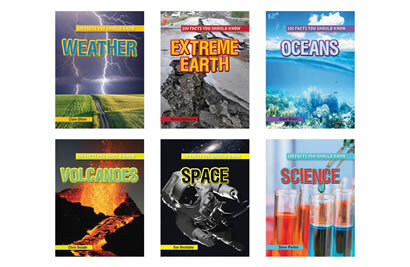 The 100 Facts collection includes a wide variety of both science and social studies topics, each high-interest and appealing. 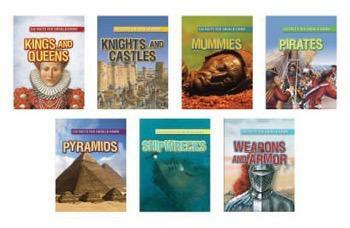 Knights, mummies, dinosaurs, space, and volcanoes are just some of the subjects sure to please readers. Information is presented in bite-size increments grouped into thematic sections, providing a comprehensive look at each topic. A variety of colorful visual aids, including diagrams, charts, illustrations, and photographs, also appears throughout each attractive volume.